Apple | Hi. I'm John. 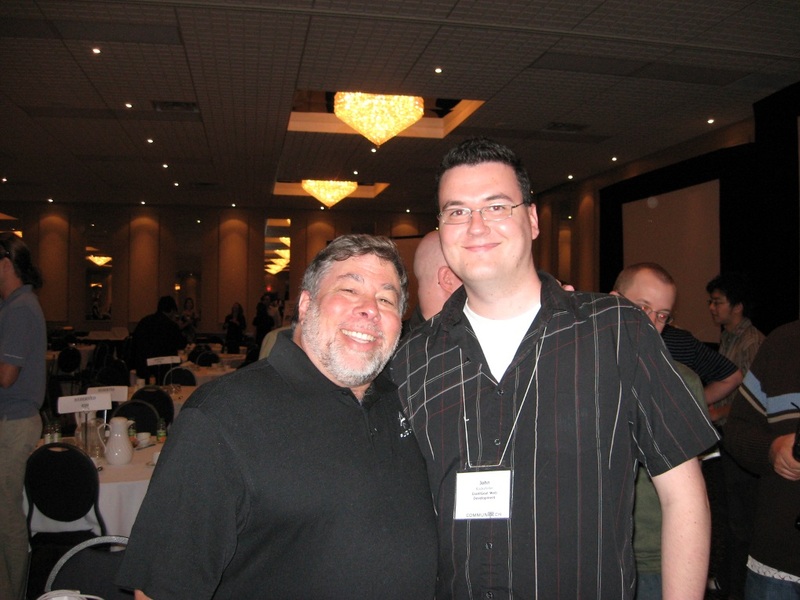 This past week, I met Steve Wozniak at the Communitech breakfast event in Kitchener. He was there to speak about his past at Apple as well as a new company he’s a part of called Fusion-io. The CTO of Fusion-io was on-hand as well to describe the company from a technical perspective. I really think the things they’re doing there will take the industry in the right direction. I’ve been a fan of SSD / Flash memory technology for years and they’re basically re-writing the book on it. Put simply, they are offering Flash memory storage directly through a high-bandwidth PCIe card vs. using hard disks or trying to force SSDs through standard SATA controllers (which each have their own controllers, and those have controllers as well, and so on). By simplifying the process they are able to achieve incredible results. If you’re in need of high-speed data access, take a look at some of Fusion-io‘s services. You won’t be disappointed. Posted in NewsTagged Apple, Flash memory, Fusion-io, Hardware, kitchener, PCI Express, Serial ATA, Solid-state drive, Steve Wozniak, the woz, waterloo1 Comment on I Met The Woz!